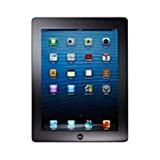 With the various specialist eBook Readers on the market does that Apple iPad have a place as an eBook Reader or should you stick with your Kindle, Nook or Sony Reader? Is there a role for the iPad as an ebook Reader? That's a question I have been asked a few times given that as a dedicated user of my Kindle I also have an iPad! When the iPad was originally launched many people saw it as a turning point in the development of portable computers and eBook readers. There were others who simply saw it, and indeed the iPad 2 as an expensive and largely unnecessary gadget! So now that it has been in use for some time and has many devoted users let's take a look at whether it has become the tool for everything that some predicted. You have multiple functions available which include web browsing, emails, eBook reading, video, music, calendar and many more. Which Is The Right eBook Reader for You? If you love, or are familiar with the iPhone and iPod, then you are going to find that the iPad has many of the apps you already know. It will also give you access to Apple's App Store with many thousands more to chose from. 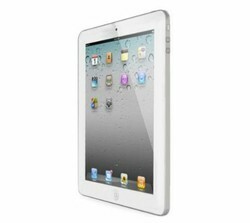 The navigation you are familiar with has also been incorporated into the iPad, which will also make it easy to use. You can purchase a model which provides you with 3G connectivity which will be very useful when you are not in a WiFi zone. There is a wide range of features, accessories and apps available on and for the iPad, which means that it can be a great solution for both business and pleasure users. Whilst many of the standalone eBook readers are now including a diverse range of features, I don't think that they will be able to outdo the iPad. But what of the iPad as an eBook Reader? One of the major drawbacks is that the iPad has backlit LED display, which means that it is not as easy on the eye. I know that after a little while reading an eBook on the iPad, even using the free Kindle App, I am searching around for my Kindle! So if you had thought about buying an iPad solely for reading electronic books, then I would suggest you think again. Having said that if I just want to dip into my eBooks whilst on a brief journey then I find it is reasonably okay and of course it lights up at night which the Kindle doesn't! The iPad is obviously more expensive than a standard eBook Reader. Although, having said that if you are looking at the Kindle DX, then the iPad isn't that much more when you consider its extra functionality. So does the iPad as an eBook Reader work? Yes it does and it does a good job of it for a short period of time before you become a little "eye weary" from looking at a backlit screen. If you solely want an eBook Reader then the Kindle is probably the better choice. If you want more then the iPad makes sense and you could even treat yourself and get both! Which Do You Prefer As an eBook Reader? Have you been thinking about buying a kindle and are trying to find the answers to the question "Why Buy a Kindle?" When you decide to buy your Amazon Kindle you may still be torn between getting the simple WiFi version and the added 3G connectivity. Do you really need it? Let's Decide! Do you like to read in the dark with a book light? Solve the problem of the Kindle not having a backlight with one of the Kindle Reading Lights. Would You Use The iPad as An eBook Reader? I would use the iPad as an ebook reader as well as much much more. I have Kindle downloaded on my iPhone and I love it!! I have an iPad and would not consider getting both. This is partly because here in Europe we have to decide between a kindle, which won't get Dutch books, or a Dutch e-reader, which won't accept kindle books. I went with the iPad because I can also do other things on it. That said: it does get a bit tiring to read from the lit screen after a while. I have a kindle but I often end up reading on my iPhone. The iPad seems a logical next step. Great for kids books too. My daughter loves her iPad for ebooks. She listens to them as well as reads them. I have never really tried anything else but would not trade my Kindle for anything. I love it. Well, I don't have any of these, but if I do get them I will remember you advice about reading on the iPad and stick to kindle for reading. Great page!